A Spa Above would like to announce that we are the first and only medical spa on Staten Island to be performing Clear + Brilliant procedures. It has been known to be the laser "Celebrities" use most due to it's "High Definition" qualities. As seen on the Doctors, Rachel Ray, E.T., and Dr. Oz, Clear + Brilliant has been proven to be highly effective on patients who are looking for noticeable improvement of their pores and texture. Clear + Brilliant is an effective, FDA approved treatment based on fractional laser technology that addresses the early signs of aging. The laser energy creates millions of microscopic treatment zones in your skin, replacing damaged skin with healthy, younger looking tissue. What is the pretreatment preparation? Avoid the following products and/or procedures ONE WEEK BEFORE your scheduled laser treatment: Electrolysis, waxing, sunless tanning or UV free tanning, depilatory creams, laser hair removal, patients who have medical cosmetic facial treatments or procedures (e.g.. laser therapy, surgical procedures, cosmetic filler, microdermabrasion, chemical peels, etc.) should wait until skin sensitivity completely resolves. Patient who had BOTOX injections should wait until all bruising subsides. Retin A (tretinoin) , Renova (tretinoin) , Differin (adapalene), Tazorac (tazarotene), Avage (tazarotene) should wait approximately 4 days prior to treatment. Any products containing Retinol, AHA or BHA, or Benzoyl Peroxide, should stop at least 48 hours prior to scheduled appointment. How many treatments will I need? The number of treatments you will need depends on your desired outcome. Visible improvements are seen after one treatment, however, we will discuss a personalized treatment regimen with you. When do the results appear, and how long do they last? The results of treatment are both immediate and progressive. A few days after the treatment, your skin will start to feel softer, look brighter and show more even tone. Results can last for many months depending on your age, skin condition and how you protect your skin. What will I look like immediately after the procedure? Can I go right back to work? 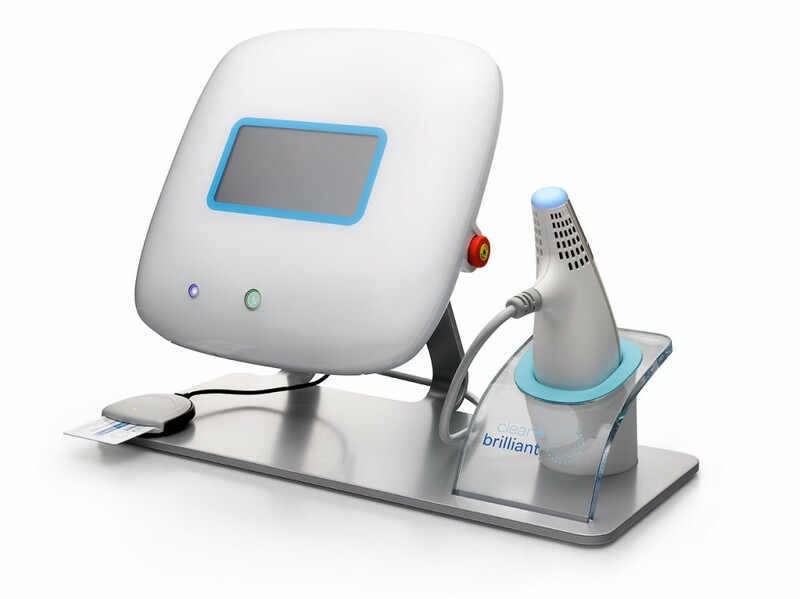 Clear + Brilliant treatments are very gentle and are specifically designed to minimize the side effect of typical laser treatments. You may experience redness and subtle inflammation right after the treatment. These generally resolve within a few hours, but may last until the following day. Does it hurt? Most patients describe an increased sensation of heat during the treatment. We will apply a topical anesthetic ointment before the procedure, which helps to minimize discomfort during treatment. How much does the Clear + Brilliant treatment cost? The cost depends on the number of treatments you need for your desired results. We encourage you to come in for a consultation at which we can give you a more precise idea of the cost.